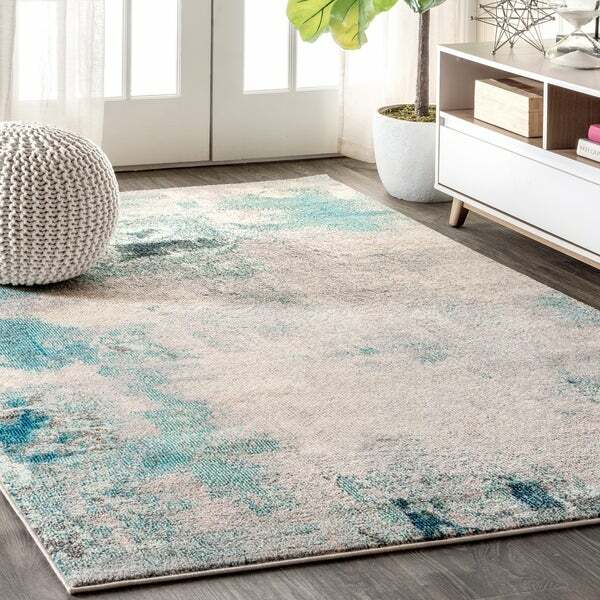 The shades of turquoise, aqua, blue, and beige in this painterly rug create an effect as if this rug was water colored right onto the floor. The tranquil effect creates a serene retreat well suited to coastal cabins or modern mansions. And in durable power loomed polypropylene, the durability of this rug is built to withstand high traffic, kids, or even pets! The colors seemed to go with a calm vibe I wanted for my bedroom.